I understand that music was changing when this album was released... the 80's were coming and bands had to adapt to survive, but Atoll did not hold up well at all in attempting to streamline their sound and join the mainstream. If this album is an indication of where Atoll were going musically, it's really for the best that they didn't make it to the 80's. Opener 'L'Age D'or' is a decent 'Prog Funk' number that (musically) sounds closer to the Isley Brothers than anything resembling Prog or Rock. 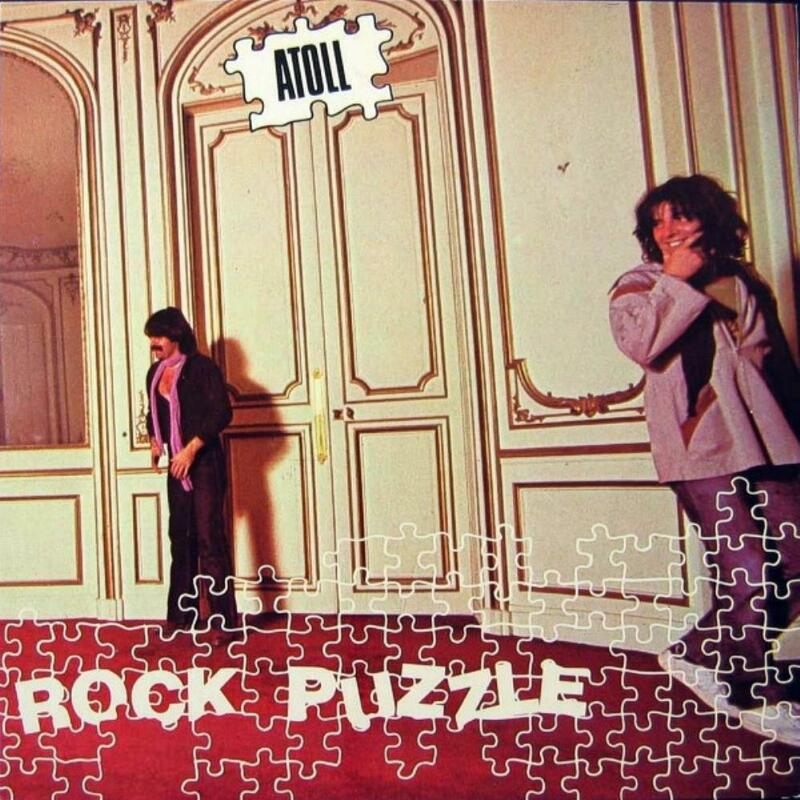 It's obvious that the magic Atoll had on their first three albums has almost completely dissipated on Rock Puzzle. 'L'Ultime Rock' is cringe-inducing Pop Rock at it's worst. It sounds like the terrible theme song to some terrible 80's comedy movie... something staring Harold Ramis. It really is vile and unlistenable. 'Smarto Kitschy' is just as bad... i can picture a line of rollerskating Solid Gold dancers boogiein' down to this disco drivel. The only reason to own this album at all are the two excellent ballads... 'Kaelka' and 'Eau (H20)'. The tear-jerking 'Kaelka', at less than 3 minutes long, is way too short. It's one of the few moments on Rock Puzzle that holds any substantial emotional impact. The song is full of sweet Moog Taurus bass pedals and beautiful flute-like synthesizers that remind me a lot of the soft parts of 'Eleventh Earl of Mar' by Genesis. 'Eau (H20)' is similar in it's late-70's Genesis vibe, and has a bit of an AOR radio ballad feel... but it's a really good song with some great piano parts and trembling melancholic lead guitars. The track 'Puzzle' is yet more 'Prog Funk' and has some good synth solos near the end, but it's not enough to save this album. Avoid this album unless you're a diehard Atoll fan and want to own all their work. There are at least two decent songs... and i'll rate the album with one star for each.